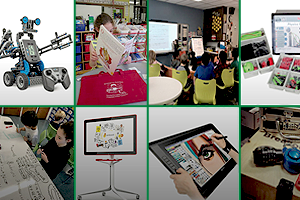 Celebrating 25 years, the Chappaqua School Foundation has funded many meaningful and inspiring project ideas from teachers, administrators, parents and students that are beyond the scope of the school budget. CSF awards two types of grants to implement its mission to bring innovation to Chappaqua's schools, classrooms and students: (1) InstaGrants, awarded throughout the year to fund innovative ideas below $2500 that can be implemented quickly; and (2) traditional grants, awarded in the spring to be in place for the next school year. On March 27, 2019, the Board of Education voted to accept five CFS Traditional Grants totaling over $192,000. Although seemingly small in number, these five grants will have a large impact on students throughout the District. The Chappaqua Central School District is very fortunate to have the Chappaqua School Foundation as a strategic partner in education. "We have used independent reading as a big focus this year and I find that students are reading on their own less and less," said Mallory Gray, an 8th-Grade English teacher. "Getting kids to read more expands their toolbox of writing skills, not to mention enhances vocabulary and sentence sophistication." 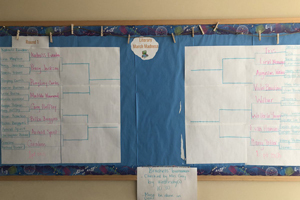 To keep her students excited about reading, Ms. Gray introduced an NCAA March Madness bracket-style basketball tournament, but with a literary twist. Her competition pits popular literary characters against each other and the winner is decided by her students. To begin, students were given a list of 32 YA main characters--some they may know, some a little more obscure. Because this was the first year, she tried to mix it up--male and female protagonists of various genres and reading levels. Some books, the kids may have read when they were younger, some they may want to read in the future. Students then received the 16 matchups and were asked to make brackets that predicted how their classmates might vote in a survey that compares the characters. Every couple of days, Ms. Gray would release a Google Form so that students can vote on their preferred characters. . .and the students' persuasive arguments would carry on after class in the hallways. They are now in the middle of the Elite Eight survey, which will end on Wednesday. "My goal is to get kids talking about "famous" main characters that they may have enjoyed in the past as well as getting them to explore new characters that they may not know...and maybe read something new," explained Ms. Gray. The project will continue until the end of next week when a winner will be declared; in this case, the students' favorite YA character. 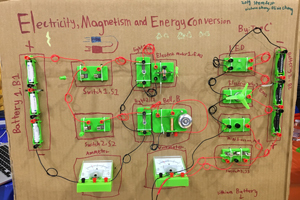 Throughout the year, Chappaqua's students and faculty are immersed in high-level research and interdisciplinary active learning projects to solve real-world problems. On March 23, 2019, more than 200 students, from elementary school through high school, presented their innovative work at the fifth annual Chappaqua PTA STEM Fest held at Bell Middle School. STEM Fest featured student-designed experiments, inventions, and research. Visitors also saw a range of projects including hydroponics, electromagnets, human genetics, Minecraft, slime chemistry, astronomy, and robotics! In addition, local and national companies facilitated hands-on activities where attendees were able to explore polymer chemistry, robotics, computer programming, wind power, drones, artificial intelligence, and rocketry. "We were thrilled to be celebrating the fifth year of the Chappaqua STEM Fest," said Lori Morton, Chair of the Chappaqua PTA STEM Committee. "The enthusiasm of our students was infectious, their discoveries and inventions were brilliant, and the event was packed with fun and informative STEM demonstrations and hands-on experiences!" The Science Research program offered at Horace Greeley High School requires a three-year commitment. The course of study affords students the opportunity to pursue areas of interest in science by providing meaningful, hands-on learning experiences. Students access and critically analyze information, pose substantive questions, and communicate effectively. The students are responsible for finding a mentor, developing a research plan and conducting their own research. 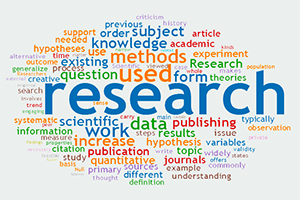 Typically, students spend 6-10 hours per week working on their research. Some students experience several months of working in a lab or science facility with scientists or technology mentors who provide guidance and supervision as students conduct their research, while others have chosen to work in the high school labs closely monitored by their teachers. Recent accolades include going 3-for-3 at the Upstate NY JSHS; 9 medals, 7 special awards, and 1 invitation to the GENIUS Olympiad at WESEF; and 1 Regional Semifinalist and 2 Finalists in the 2019 Regeneron Science Talent Search. Mark your calendars for the Horace Greeley High School Science Research Symposium on Tuesday, May 21 beginning at 6:30pm. Seniors will present their projects as the culmination of their three-year journey, and juniors and sophomores will showcase their work-in-progress in the form of a poster presentation.